Ten years ago today, Steve Jobs took to the stage at Macworld 2007 to introduce a device that would become Apple’s most recognizable and successful product: the iPhone. 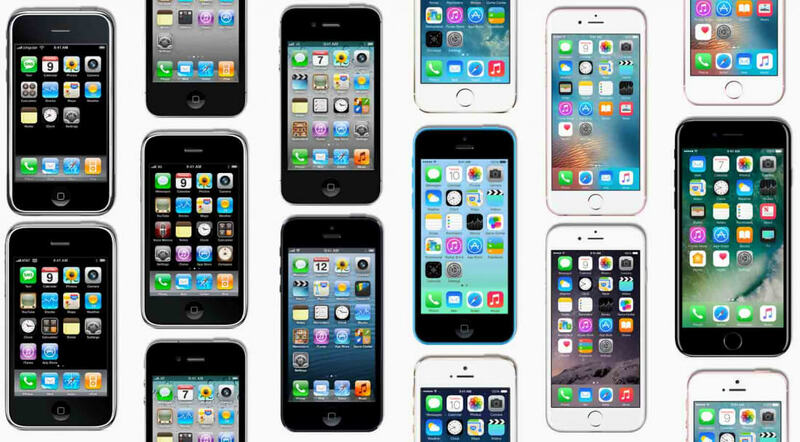 To celebrate the anniversary, Apple has launched a tribute page dedicated to the famous handset. Since the first iPhone was released, Apple’s handsets have sold over one billion units worldwide. It became the inspiration for the iPad and, of course, the Apple Watch. The device also influenced the design and functions of smartphones from other companies. In some cases, Apple felt the similarities were a little too close, leading to the seemingly never-ended patent lawsuits against Samsung. “iPhone set the standard for mobile computing in its first decade and we are just getting started.” said CEO Tim Cook. Much of Apple’s post is dedicated to the features and hardware found in the iPhone 7/7 Plus, which, while still a great phone and technically impressive, disappointed many Apple fans with its lack of innovation, similarities to the previous year’s model, and missing headphone jack. Despite its shortcomings, the newest iPhone was the top-selling US smartphone in the three months ending October 2016, taking a 10.6 percent share of the market - despite only being available for seven weeks out of that 12-week timeframe. Admittedly, though, some of its success could be attributed to Samsung’s Galaxy Note 7 nightmare. So what’s next for Apple? According to some alleged leaked manufacturing documents, 2017 will see the release of four new iPhones – three ‘s’ models and the iPhone 8 (assuming that’s the name it will go by). Apple is rumored to be introducing a slew of new design features for its next flagship iPhone, including an almost edge-to-edge AMOLED display, embedded home button, wireless charging, and more. Cook believes the smartphone will be as revolutionary as the product Jobs introduced all those years ago. “The best is yet to come,” said the current Apple boss.